In addition to the professional development opportunities offered, ESWP also is a private dining and banquet facility ideally suited for corporate training events and other social activity. 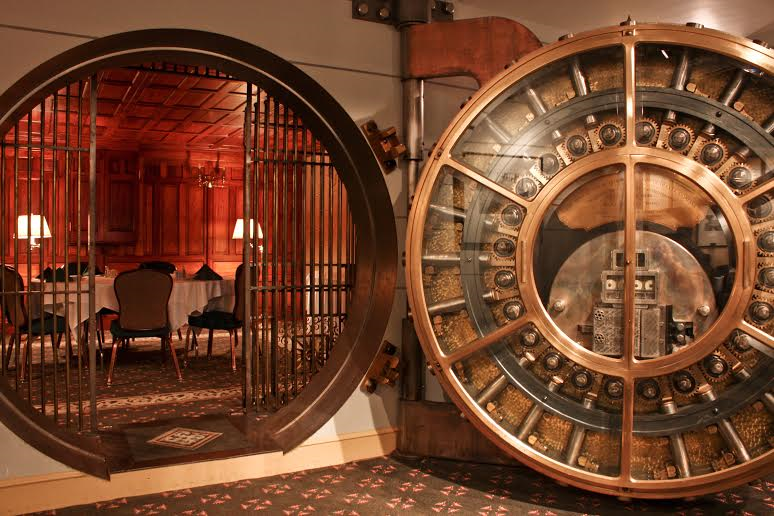 The original bank vault has been renovated with rich wood paneling and serves as a focal point in the members' dining room. You will have the opportunity to see these areas. The Pittsburgh Engineers' Building is home to the Engineers' Society of Western PA (ESWP). Founded in 1880, ESWP is a nonprofit membership organization serving the engineering profession through continuing education events, student outreach programs, and business development opportunities. ESWP relocated into this former bank building in 1985 after spending the previous 70 years in the lower lobby level of the William Penn Hotel. The building was originally designed by D. H. Burnham for the Union National Trust Company.